Tannehill Creek traverses through the entire park and provides a source of water for many of the large shade trees located along its banks. 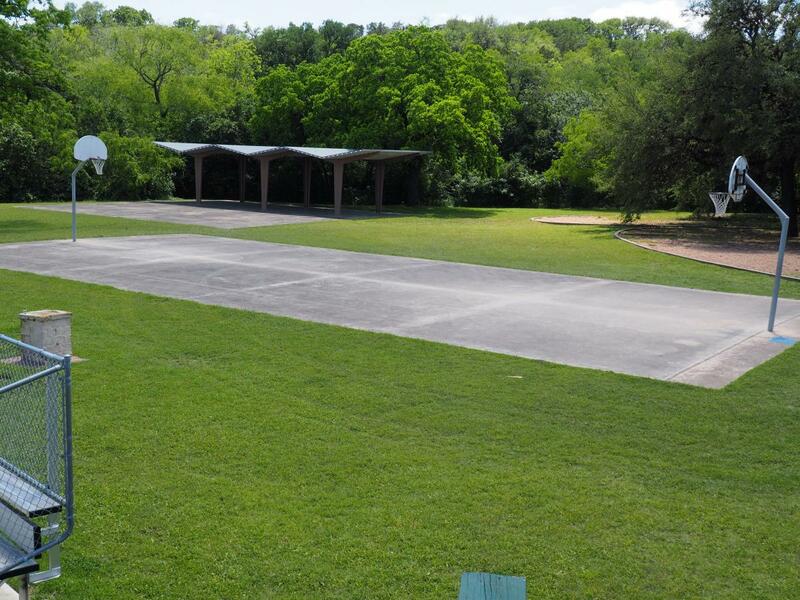 The 40 acre district park was acquired in 1957 and has a recreation center, swimming pool, two large covered pavilions, restrooms, playscape, basketball courts, tennis courts, picnic tables, and a two ball fields. Public input is an important element of the master planning process and the Parks and Recreation Department is interested in working with the public in order to assist in defining what recreational uses are desired while considering the existing uses in the park. Saturday, July 14, 2018, 10 a.m. to 12 p.m.
Saturday, July 28, 2018, 10 a.m. to 12 p.m.
Tuesday, October 9, 2018, 6 p.m. to 8 p.m.
Tuesday, December 4, 2018, 6 p.m. to 8 p.m. 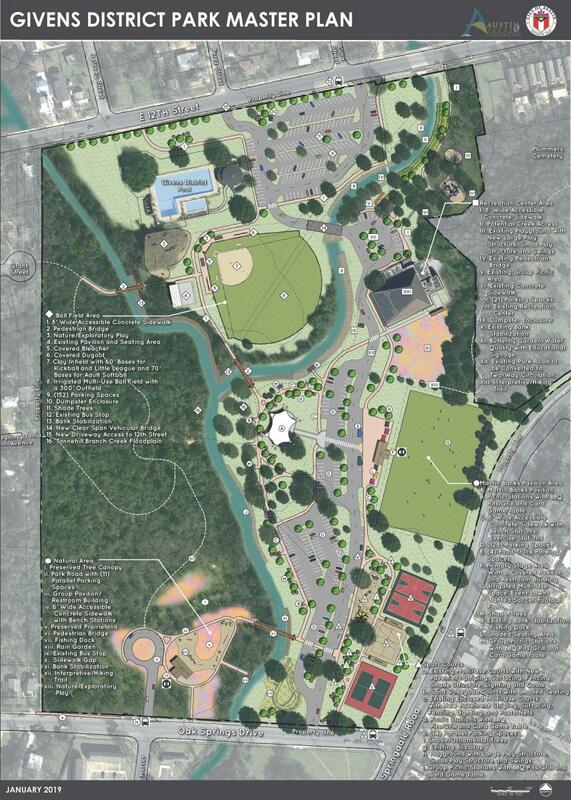 The project goal is to create a Park Master Plan based on public input that will identify future recreational uses in this already developed park. The master plan will then guide the design phase and construction phase for any future park renovations and improvements. The Park Master Planning phase has started and will conclude in the fall of 2018.